I have started submitting pictures to foodgwaker and tastespotting… but every time they get rejected. Well, I am not disappointed… it gives me a scope to improve and think what I have done wrong. 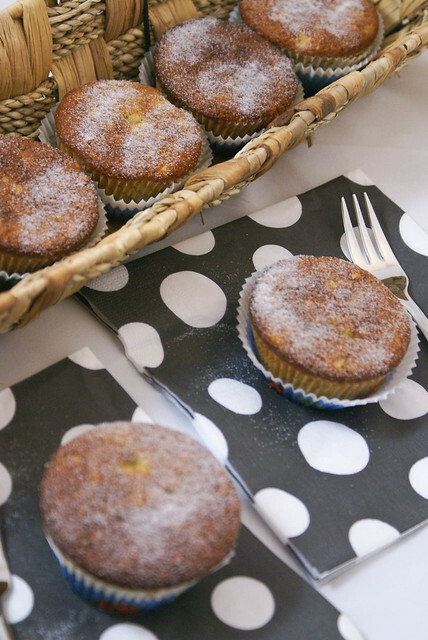 I made these muffins along with the Orange muffins on my son’s Birthday.. I guess you will enjoy them as much as my son did!! Peel the Bananas, and mash them with the back of a fork and mix in Lemon juice. Beat Butter, Sugar and Eggs till pale and creamy. Add Banana and Hazelnut pieces. Add the flour mixture to the Butter and Egg mixture in batches, and fold gently till everything is mixed well, with a rubber spatula. Do not over mix the batter. Place in the oven and bake until a toothpick inserted in the center of a muffin comes out clean, about 20 minutes. Wow, hazelnut and banana sounds like a perfect combo! i tell u what .. do not worry about these sites much. They accept what looks good in 250 by 250 ! I love your photos and we can become good and better only by practice and you are doing it perfectly 🙂 These muffins are looking lovely my friend! Wherever bananas are there, am in.. Lovely muffins, dear!! @Julie.. Thanks for stopping by.. The 2nd pict is cool! 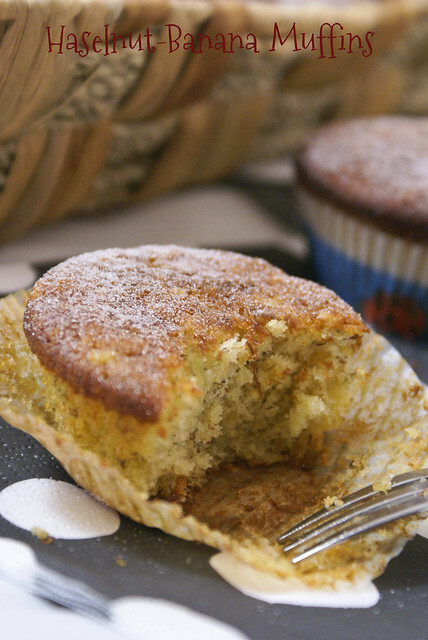 Those muffins are moist and perfect! 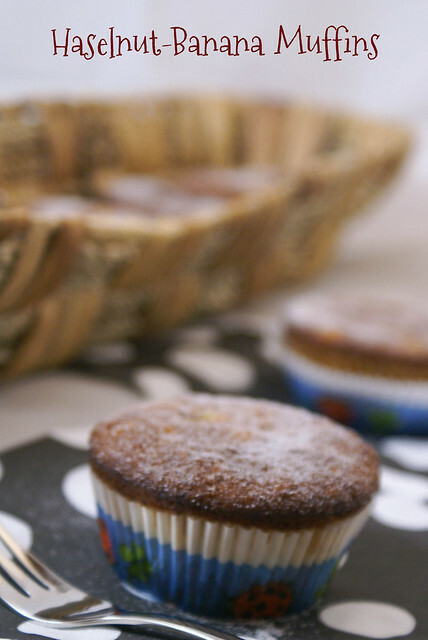 I think we all learn bit by bit about photography, muffins looks delicious. wow….such droolworthy muffins!!!! You have an awesome space here with eye pleasing photography..:) glad to have stopped by & now following you..Keep rocking!!!! Spandana those muffins are so pretty..Belated birthday wishes to your lil one..abt the pictures don't bother abt those sites..good if they accept else just carry on!..I know your pictures look beautiful!